This statistic represents renewable energy production and consumption in the United States between 1975 and 2017. 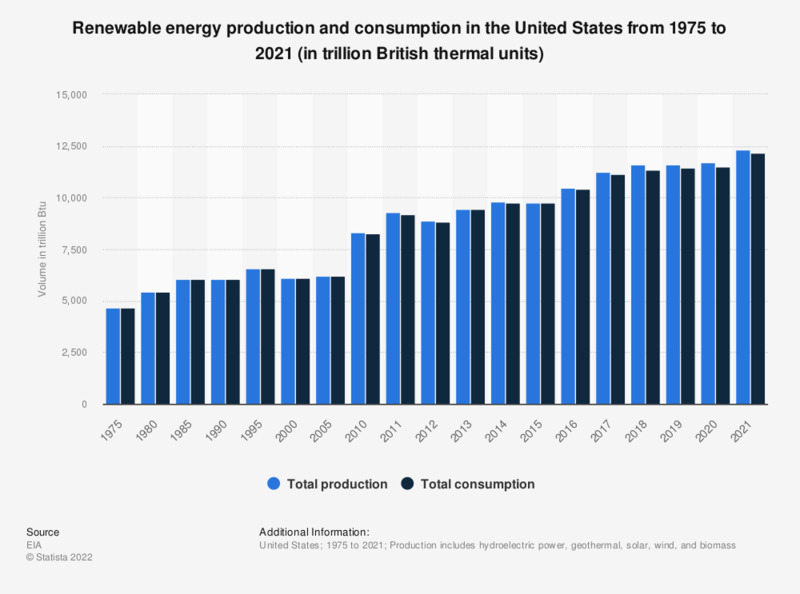 In 2017, the United States consumed approximately 11 quadrillion British thermal units of renewable energy. * Production equals consumption for all renewable energy sources except biofuels.